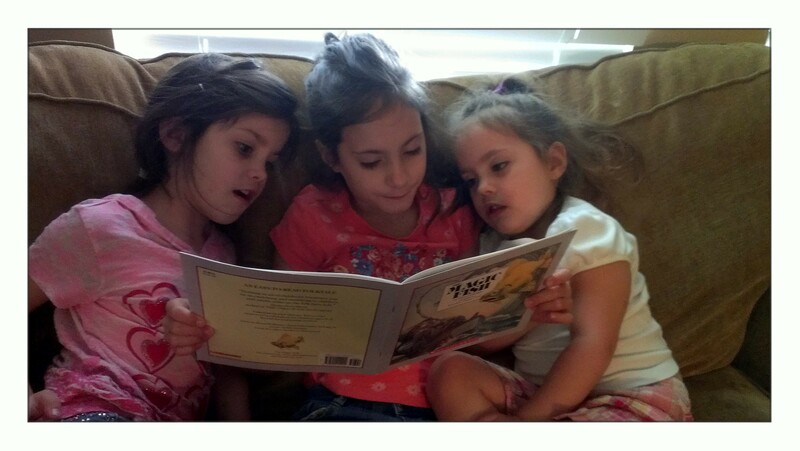 Today Alayna chose to read, “The Magic Fish by Freya Littledale”, for family reading time. If you haven’t read this book with your kids, I would definitely recommend it. It’s a great lesson about contentment. Teaching contentment is a priority in our family. When we spend time with family or friends and it’s time to leave, our children will sometimes complain about leaving. I quickly remind them to be thankful, grateful and content for the time we had with our loved ones. When birthday or Christmas time comes, again I remind them to be content with their gifts and toys. A life of always wanting can lead to bitterness and resentment. They are young and still have to be reminded at times to be content, but if we can learn at an early age what this word means and let it take root in our heart, our life will be so much more enjoyable. Prayer: Thank you God for supplying every need and even our desires. Thank you for a roof over our head, food on our table, and clothes on our back. But most of all thank you for giving your only son to die on the cross for our sins. For that we should be content in all things. We are blessed and I pray that we all see beyond our selfish wants and at last can say, WE ARE HAPPY! This entry was posted in Family, Homeschool, Life, Parenting, Spiritual and tagged content by fromthecommittedheart. Bookmark the permalink.